The PHS Parents Club is in need of volunteers! Please let us know if you are interested in volunteering. We are in need of assistance on the committee to investigate procuring a gambling license as well as general fund raising for the organization. Please contact us to lend much needed assistance! 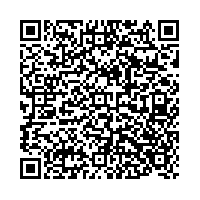 Scan this code with your camera phone and add us to your contacts! Peninsula High School Parents Club is dedicated to shaping our student's lives by encouraging smart growth and optimal change throughout our campus. We work toward providing support & funding to all aspects benefiting our students. We strive to maintain an open door policy with all meetings, activities and fundraisers. All parents/guardians with a student at PHS are considered members. We engage in transparency and would love for you to participate in our organization. Please mark you calendars and keep an eye here for details of our Spring 2019 general meeting. We are tentatively scheduled to hold the meeting on Monday, May 6th at a time and place to be determined. Environmental Club and members of Harbor Covenant Church are working on plans to hold a campus clean up effort at PHS on March 30th. Your tools and labor would be greatly appreciated in support of the effort! 2019 is a year that we hope to continue to grow the organization and increase participation of members in both activities supporting our student as well as in fundraising. We need your help. Please contact us with your ideas, suggestions and let us know how you can help us! Following the adoption of the amended bylaws, which included the addition of a 5th director position, the BOD has appointed Stacy Kilcup to the director position which holds tenure through June 30, 2019. Stacy will be filling the role of Secretary, releiving Cheryl of the duties effective immediately. Thank you Stacy! Our general meeting on October 17th was a great success and all who attended are thanked for their participation. We adopted a budget for 2018, approved the amended Bylaws of the organization and engaged in valuable conversation. A committee was created to investigate the procurement of a gambling license on behalf of the organization. Our general meeting scheduled for the evening of October 17th is rapidly approaching. We will be meeting at The Float, in Purdy, starting promptly at 6:30 PM. We have a busy evening planned, we will be presenting the 2018 budget and amended bylaws. Please review the General Meeting Agenda, Budget and Proposed Bylaws in advance of the meeting and plan to come out and join us!! 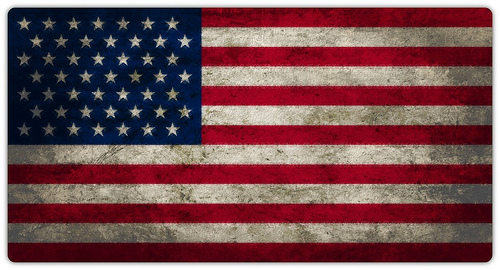 In rememberance of the victims and the heroes who died on 9/11, as well as their families, we express our sadness. Never will you be forgotten . . . The newly established BOD has set a priority on revamping the management of finances for the organization and the groups in which are participating. We will be working with our financial institution to discover and implement best practices for our organization, facilitating increased visibility into finances of the organization and participating groups as well as improving accuracy and timeliness in handling of finances. Please visit our website as we will be updating our efforts and sharing our successes here! I am happy to announce that our organization has decided to rebrand ourselves. While officially, we will remain named "Peninsula High School Volunteer Parents Organization", we will refer to ourselves as the "Peninsula High School Parents Club". We see ourselves as a dynamic, energetic club of concerned and willing parents. We will engage in activities that not only raise funds in support of our children, but offer us an enjoyable forum in which to accomplish those efforts! We want to have fun supporting our children! Contribute to our Online Fundraiser! Support PHS Parents Group by donating directly using your Credit Card, Debit Card or PayPal account. 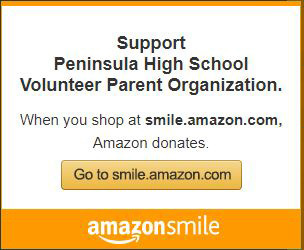 Support PHS Parents Group when you shop on Amazon! By participating in Amazon Smile, a percentage of your total purchase price will be donated to our group by Amazon. It is free for you and every little bit helps!